You are here:Home News Are You Ready for the ISO9001 Revision? Certified companies have until September 2018 to adopt the ISO9001 changes. 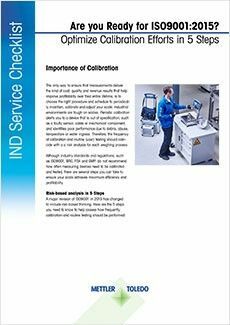 Our free white paper explains how to evaluate your weighing devices for this risk-based approach so you can meet new process requirements in time. This white paper clarifies changes in the revised ISO 9001:2015 standard and provides guidance on how to comply with the risk-based process approach. ISO9001 is designed to be flexible so it can be used by different types of organizations. Therefore, it deliberately does not specify what objectives relating to “quality” or “meeting customer needs” should be. Instead, it requires organizations to define these objectives themselves and continually improve processes in order to reach them. 2018 will be unable to sell their products or services to organizations that require ISO9001 certification. 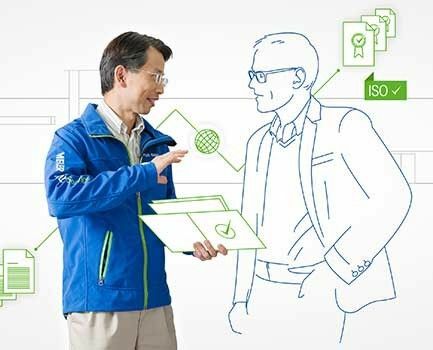 Let the experts from METTLER TOLEDO help you manage risk and quality in compliance with the latest ISO revision. Let one of our expert consultants help you get up to speed with GWP® VerificationTM, a service that documents the measurement uncertainty of weighing equipment under real operating conditions. It evaluates your tolerances and process risks providing a complete set of audit-proof documentation to safeguard your compliance with ISO 9001:2015. With this knowledge, you can feel secure that you are adopting a risk-based approach for weighing processes that will comply with ISO 9001:2015 by the September deadline. This webinar explains what's new in ISO 9001:2015 and the implications these changes have on weighing and calibration processes. 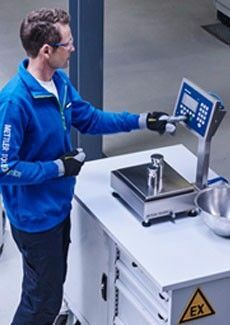 Applying a risk-based approach to weighing processes can be easily achieved with Good Weighing Practice™. ISO 9001:2015 – What Do the Changes mean for Weighing? A collection of tools relating to ISO 9001:2015 to explain the changes and what they mean for weighing devices. A new webinar explains the requirements of the 2015 revision of the ISO9001 standard and how you can use the risk-based thinking changes to optimize your process.